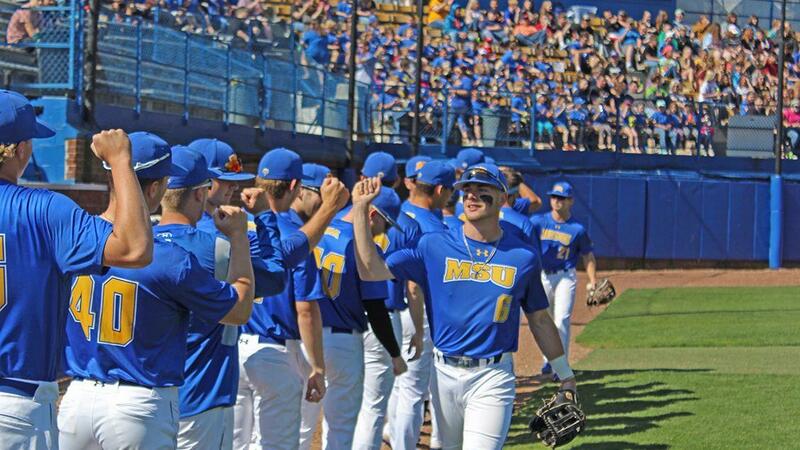 Morehead State baseball belted three first-inning home runs and added a three-run round-tripper later on as the Eagles took care of Alabama A&M 11-5 Wednesday for the program's fifth consecutive victory. The game was an Education Day contest played in front of the largest crowd of the season. MSU improved to 23-11 and 17-1 at home in 2019, while the Bulldogs fell to 12-24. In the Eagles' five consecutive home wins, they reached the double-digit plateau in runs in all five. Senior catcher Hunter Fain started the long-ball party with a solo shot in the opening inning, his seventh of the season. Two batters henceforth, senior shortstop Reid Leonard peppered a pitch from Yavier Febus over the center-field wall to make it 2-0. Senior first baseman Trevor Snyder followed a walk with his 31st career home run, a two-run job to left center-field. Sophomore third baseman Stephen Hill pushed the Eagles' lead to 6-1 with a seeing-eye two-run single in the third. Senior center-fielder Connor Pauly then busted the contest wide open (9-1) with a three-run Ruthian blast in the fourth. In the sixth frame MSU scored its final runs when junior Arthur Sells doubled to the wall in right center-field and scored later on a passed ball. Leonard added another RBI with a single. On the mound, the home team utilized eight pitchers who teamed up to strike out 14 AAMU hitters. In the two-game series, the Bulldogs hitters whiffed 31 times against Eagle pitchers. Starter Will Lozinak (4-1) only tossed the first inning but was credited with the win, striking out two. Morehead State pelted the Bulldog pitchers for 12 hits, including three each from Leonard and Hill. Leonard, who holds the MSU record for a consecutive games reached-base streak at 50, upped his current streak to 31. Pauly has now reached in 20 straight games. The Eagles open a three-game Ohio Valley Conference series at Austin Peay at 7 p.m. ET Friday.